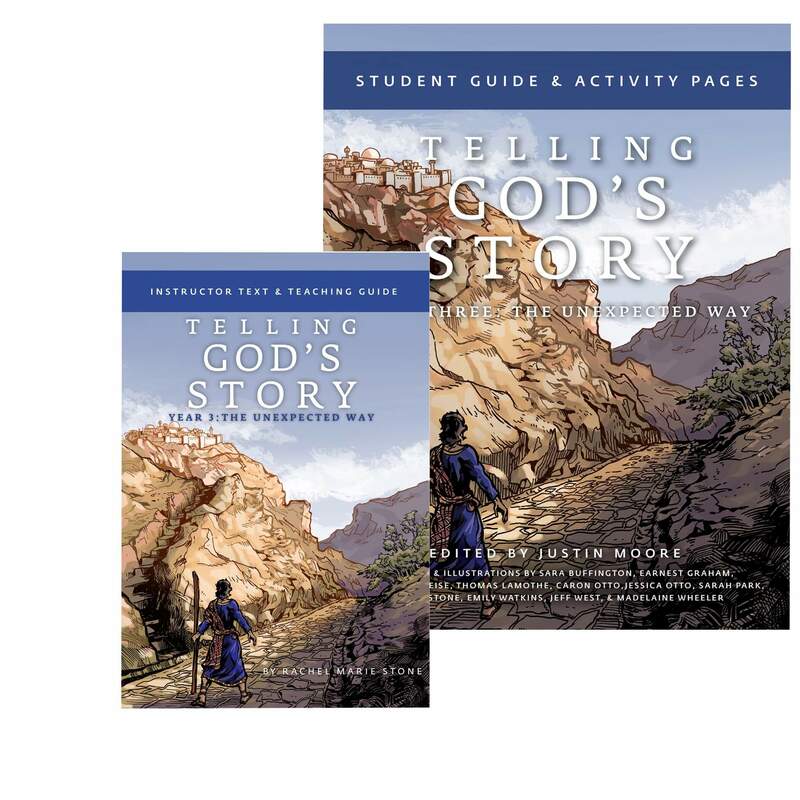 Save 10% when starting Year Three of Telling God’s Story! The Year Three Combo Pack contains one copy of the Instructor Text and one copy of the Activity Book. Scripted lessons on the life, deeds, and teachings of Jesus--suitable for home or classroom instruction. 36 lessons; 136 pages. Full of activities, coloring pages, games, real-world projects, and memory work for home or classroom use, this Activity Book is the perfect accompaniment to the lessons in "Telling God's Story, Year 3." Telling God’s Story, Year Three: Instructor Text and Teaching Guide Thirty-nine scripted lessons, with supplemental material for the teacher, on Jesus’ life, teachings, parables, miracles, death, and resurrection. Telling God’s Story, Year Three: Activity Book: Student Guide and Activity Pages A perfect companion for parents or teachers, this Activity Book provides coloring pages, memory work, crafts, recipes, games, and ideas for helping kids put their faith into action. Schools and Churches may acquire a license to reproduce the student pages by contacting Well-Trained Mind Press at 1.877.322.3445.